Why Are Built-In Refrigerators So Expensive? 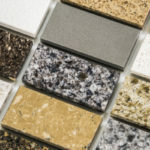 Kitchen Cabinets and Granite Countertops, Pompano Beach FL > Blog > Blog > Why Are Built-In Refrigerators So Expensive? After our built-in refrigerator broke, we were shocked to learn how much it would cost to replace it. You can buy the highest tech fridge on the market for half of what a built-in refrigerator cost… but why, and is it worth it? First and foremost: why do you need a built-in refrigerator? Most high-end kitchens generally include a built-in fridge because it creates a seamless high-end look. The term “built in” implies that the fridge fits precisely into its designated space, with no free space showing above or on the sides. 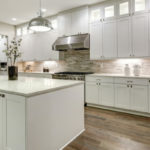 On the other hand, free standing refrigerators are not made precise to fit your kitchen, and there is usually excess space on the side or top of the fridge, creating an unfinished and less high-end look. Freestanding refrigerators are by far the most common fridge you’ll find in American kitchens. It’s the least expensive option because it is sold ready-made and can be produced in bulk. You can pick up a basic free standing refrigerator for as little as $300, although more technically advanced “smart” models can cost upwards of $4,000. Freestanding refrigerators are more affordable and don’t have to be installed by a professional. Despite affordability, there are a lot of options in terms of door styles, including left or right hinges or French doors. Plus, they are easier to move (or resell) as needed. 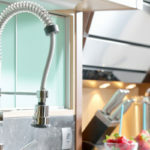 There are also options for depth and width, but these options can be limiting depending on the dimensions of your kitchen and the space for your refrigerator. Full depth model refrigerators may jut out past your surrounding cabinets or countertops, creating a look that’s not so seamless. There are 24” depth models made to NOT jut out past surrounding cabinetry, and for some kitchens this works perfectly. As far as width is concerned, the widest option is 36”, and there are a variety of widths below that to choose from. If your refrigerator space is too large, say for instance you have a big kitchen, you could end up with a fridge that appears to be swimming in a big space. Lastly, freestanding refrigerators don’t last as long as built-in refrigerators. Built-in refrigerators offer a high-end seamless look that sits flush with your cabinets or countertops. After all, it is literally built-into the space. Built-in refrigerators come in a wide variety of sizes, reaching as wide as 48”—that’s over 10-inches wider than the widest freestanding refrigerator available. The biggest drawback to built-in refrigerators is the cost, which can easily exceed $10,000—and that’s not even for a Smart refrigerator. That might seem like a lot, but keep in mind, a high quality built-in fridge will outlast a freestanding fridge by years. Is a Built-In Fridge Worth the Extra Expense? The answer to this question varies based on your budget, goals, and kitchen style. It also depends on the size of your kitchen. If your fridge space is compatible with a freestanding fridge, it might not be worth it to spend the extra money on a built-in model. If your budget cannot fit the expense, there are ways to make a freestanding fridge look presentable. If you can find a way to make room in your budget, a built-in fridge can offer a lot of benefits and improve the overall look of your kitchen. 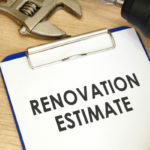 Need more room in your kitchen renovation budget? Buy wholesale cabinets and countertops and you could save enough money to go all out on a built-in fridge. What’s the Best Built-In Fridge on the Market? According to numerous experts, Sub Zero makes the highest quality built-in fridge on the market today. They also make freestanding refrigerators, offering something exceptional for everyone. Around 5 years ago, the company redesigned their built-in refrigeration series, resulting in some seriously awesome refrigerators. Most technological advancements start with Sub Zero because they reinvest so much of their profits back into the company for product development and improvements. As a result, Sub-Zero makes the highest quality refrigerators on the market. All Sub-Zero refrigerators include a dual compressor system, that means there is a separate compressor for the fridge and freezer. Since they run on independent cooling systems, the fridge and freezer are far less likely to break down at the same time. Plus, food lasts a lot longer thanks to the advanced Air Purification System designed by NASA and implemented in every Sub-Zero model. Interchangeable filters reduce bacteria, viruses and odors, as well as ethylene gas—which is released by certain fruits and vegetables during the ageing process and causes other produce to spoil faster. For instance, cabbage can last 3 to 6 weeks in a built-in Sub-Zero fridge—far longer than it would in any other fridge. Need more room in your budget for a built-in refrigerator? 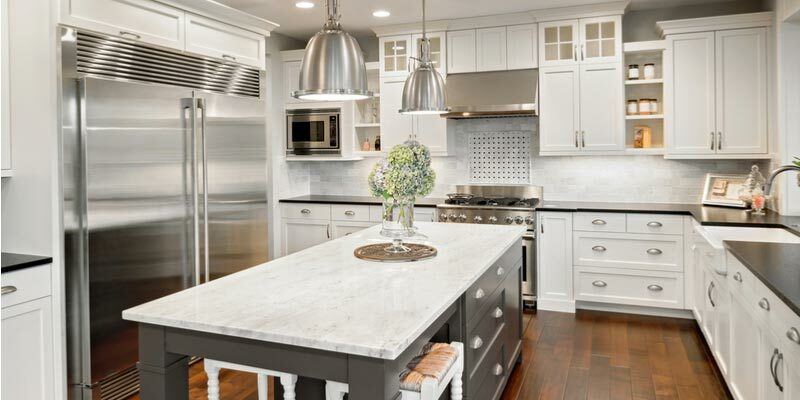 Purchase your kitchen cabinets and countertops at wholesale prices from Tops Kitchen Cabinet!